Jacqueline Ehle Inglefield in collaboration with Mark Gstohl, built a shrine to the bottomland hardwood forest to reignite a reverence for nature. 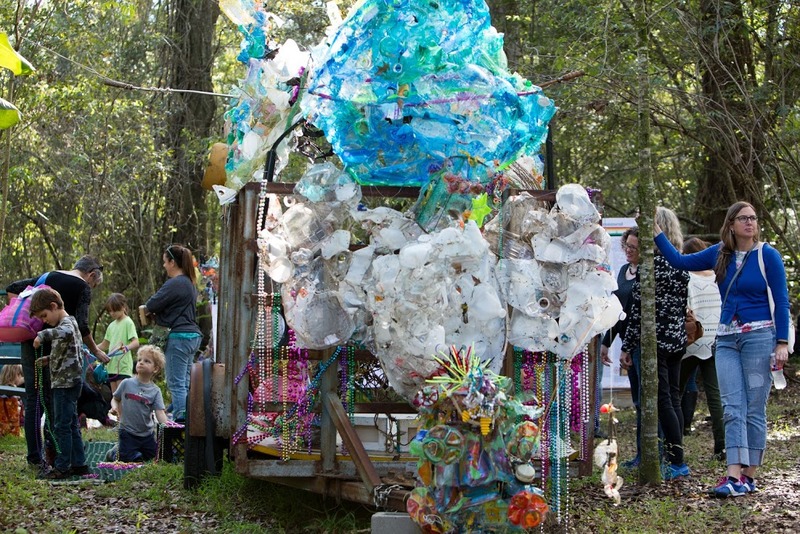 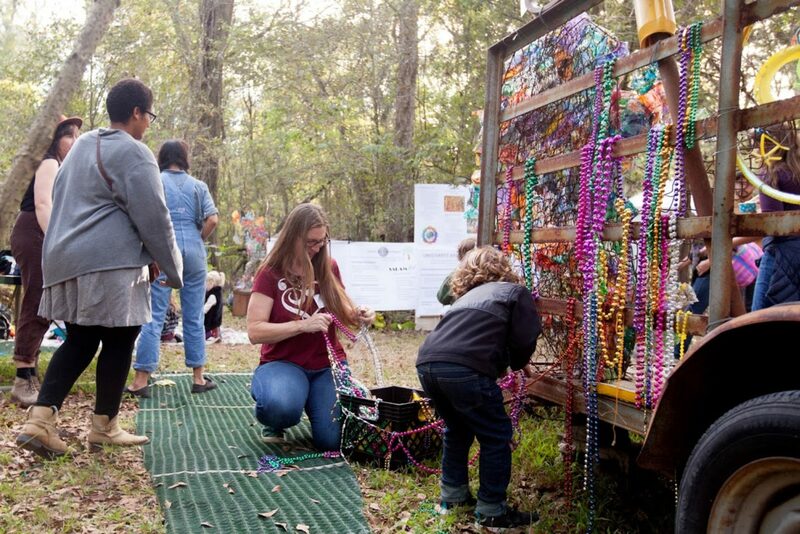 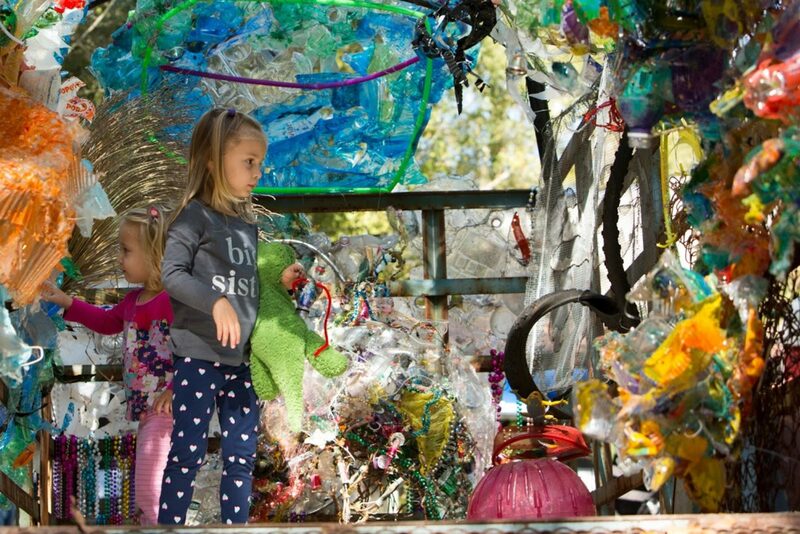 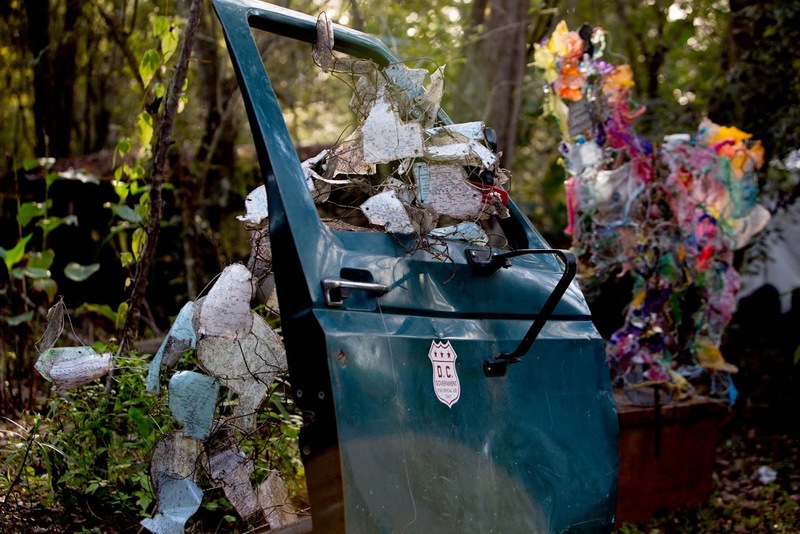 Referencing religious scriptures and past spiritual practices, the shrine encourages contemplation of the global impact of habitual consumption and waste and how our spiritual relationship with the natural world may influence our individual acts and determine our collective impact on our environment. 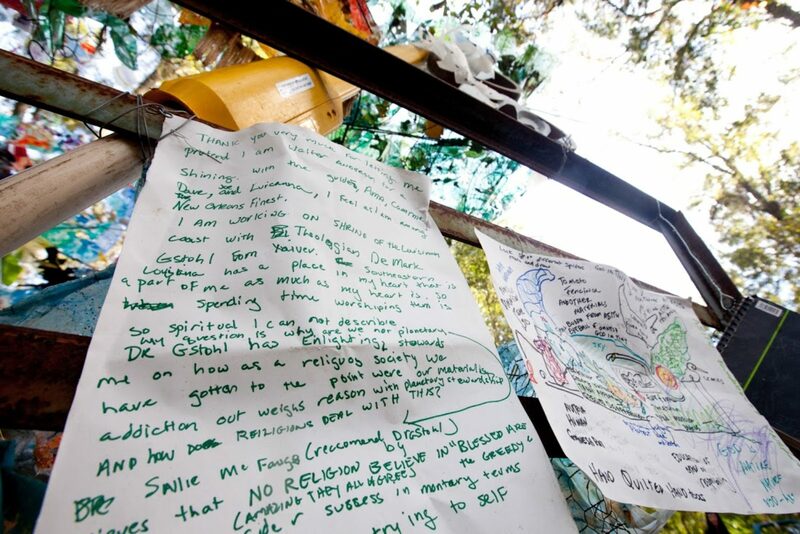 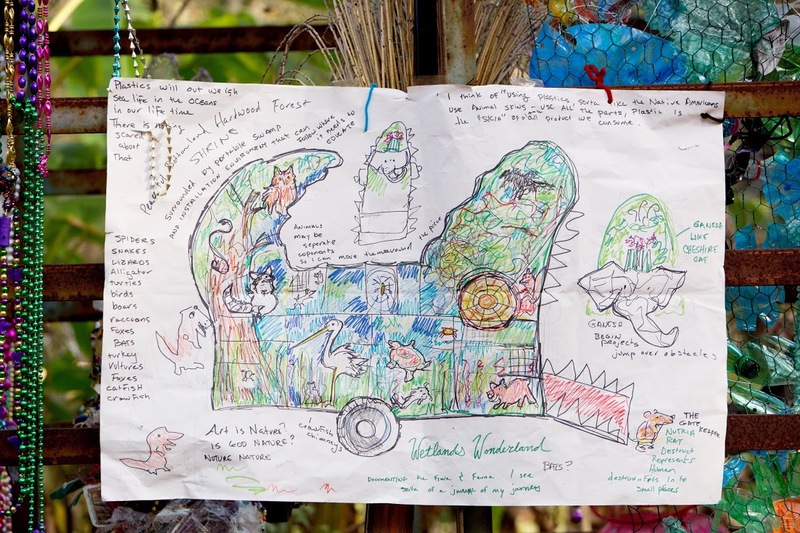 Mark’s students researched and prepared posters about the ecological teachings of major religions that they presented alongside the shrine at our annual FORESTival: A Celebration of Art and Nature. 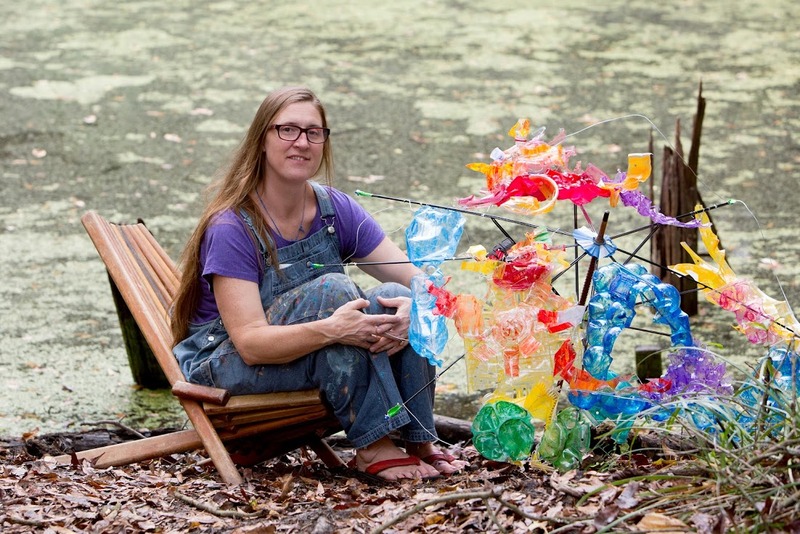 Born in New Orleans, Jacqueline Ehle Inglefield grew up in Alexandria, Virginia and currently creates and teaches art in the Irish Channel and elsewhere across New Orleans. Jackie graduated with a BFA from Virginia Commonwealth University. 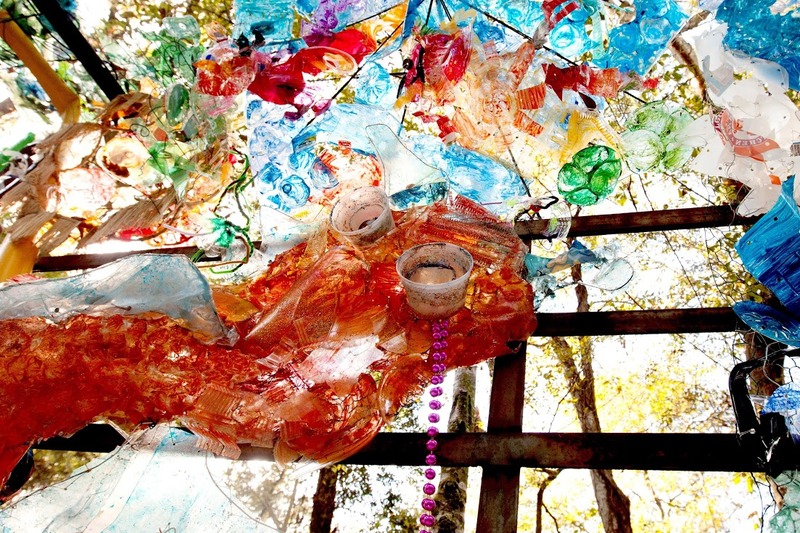 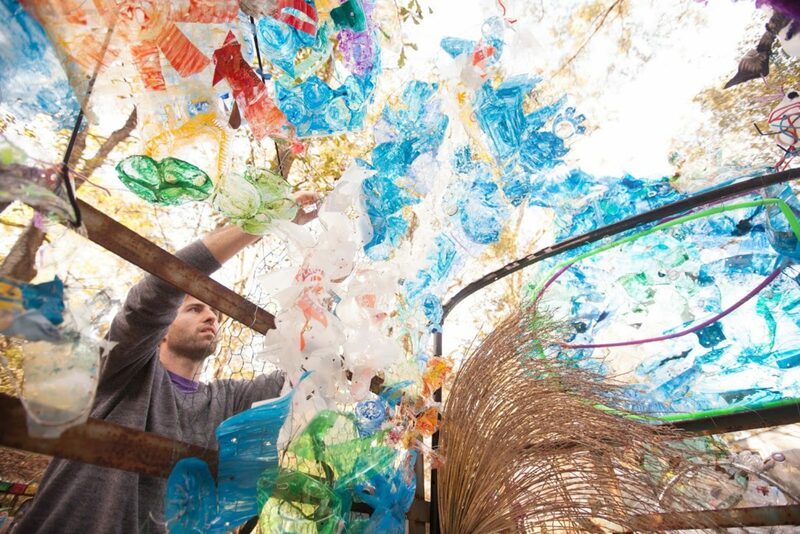 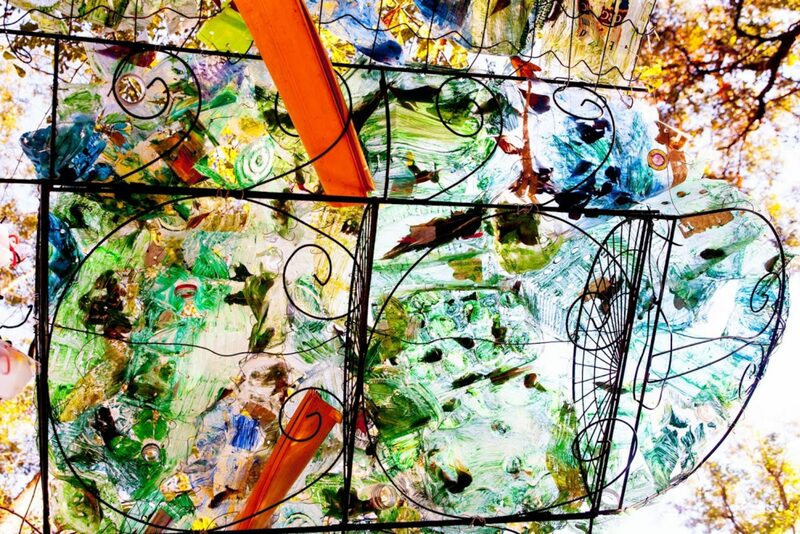 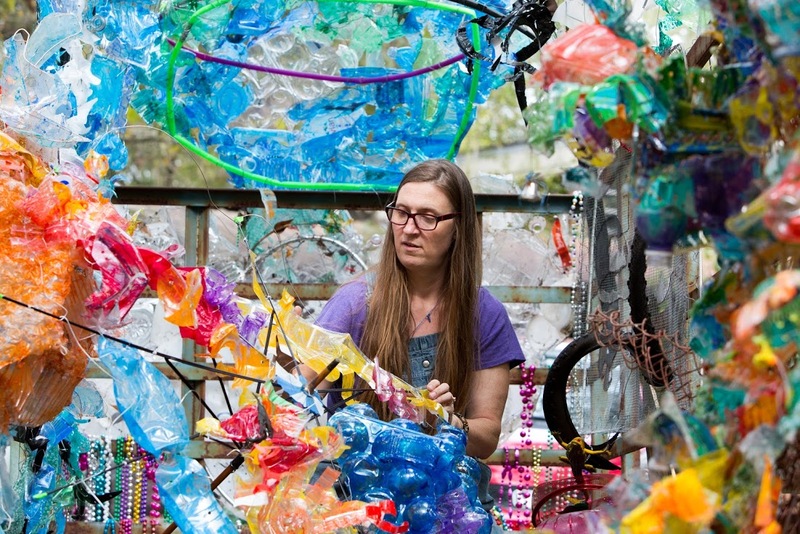 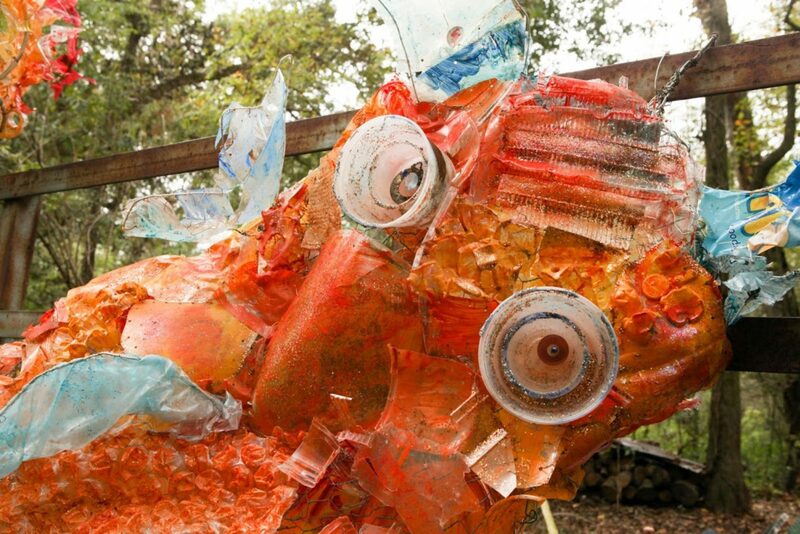 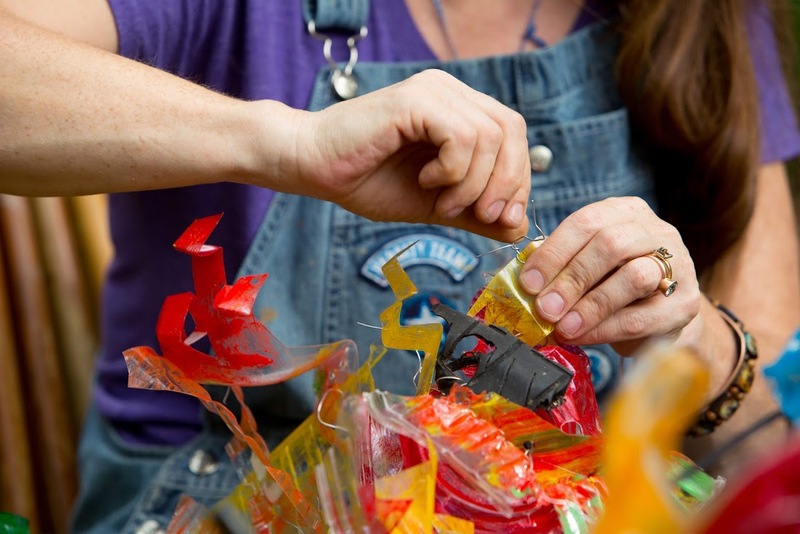 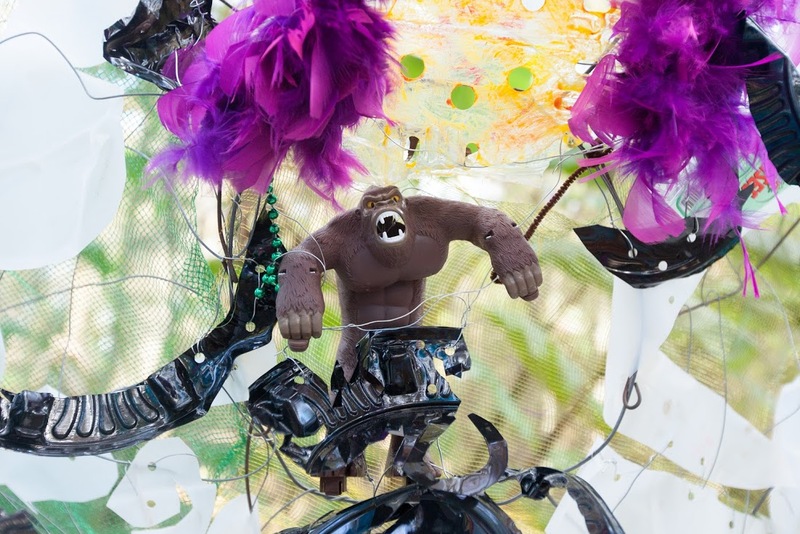 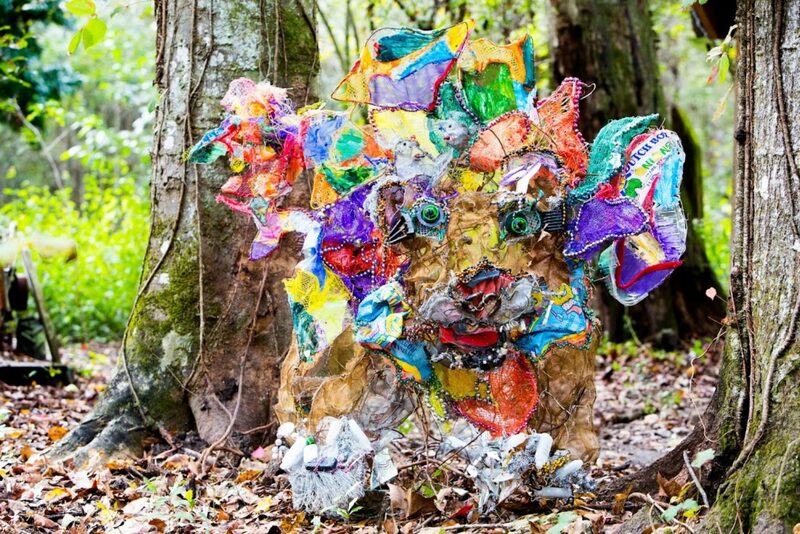 Jackie uses basic hand tools when quilting together repurposed plastics to weave curious, imaginative, provocative sculpture, as she discusses the sustainability of our planet at workshops she conducts.